There are many different flowers on earth that are renowned for their beauties and colourful appearance. Other flowers are very famous for their stories or legends. The Rose of Jericho, for example, is the kind of rose that has many interesting legends being told and passed from generation to generation. This rose is often associated with the life of Christ. 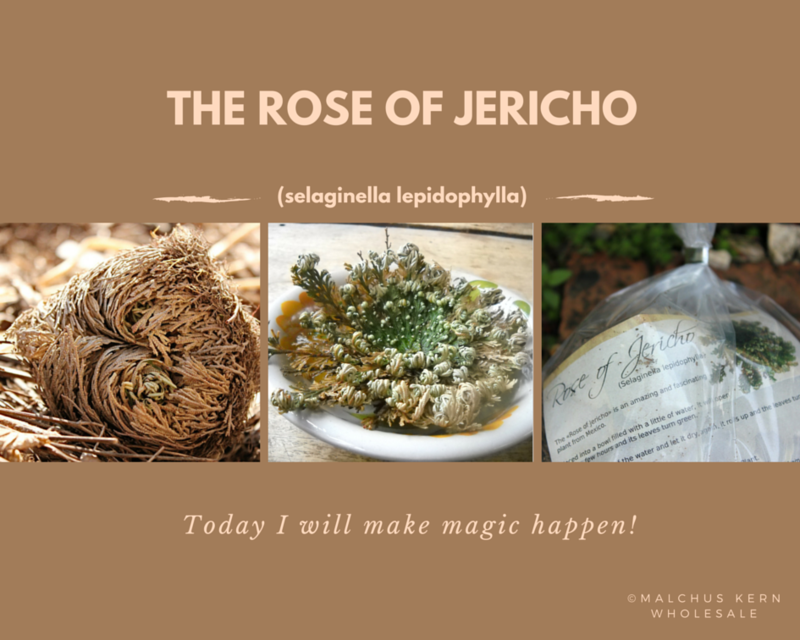 One legend says, that the Rose of Jericho continued to flourish all through the life of Christ. Interestingly, this particular rose shrunk and died away by the time Christ had to leave this world. More surprisingly, the Rose of Jericho came back to life following the resurrection of Christ from his tomb three days after his death. It was strongly believed that the blossom of this rose reflected the earth’s joy for the having back Christ. Thus, this is why this unique rose is referred as the Resurrection flower (and for its remarkable transition from being a dead, brown ball – so it appears – into a green and lush plant, within only a few hours!). The resurrection cycle can be repeated almost endlessly. Another legend being entwined to this rose also tells a story, that took place when Jesus Christ prayed to God for forty days in the desert. At the given time, it is being told that the tumble weed, known as the Rose of Jericho, had been blown away by the Spirits of the Four Winds sent by God. There was not one single day that Jesus Christ could have in the desert without the existence of this sacred Rose of Jericho. In the early morning time, Jesus collected a small amount of water, as he put his fingers to quench his thirst. This process was possible as the Rose of Jericho managed to collect the moisture during the dawn. For accompanying Jesus for forty days in the desert, he decided to give this rose a blessing and considered this plant as a magical charm of sustaining life through hardship and resurrection. Apart from the great legends of this Resurrection rose, this plant has its own unique characteristics. Physically, you might find the plants less attractive, compared to many other rose plants, that come with more appealing and colourful flowers. But you should not forget, that this is a desert plant, and not an ordinary rose. To survive in deserts, these plants have plenty of branches that form a tight ball whenever in dry condition. By the time the rose find some water, it will spread out the branches and look like reclaiming its life. The original “true” Rose of Jericho comes from dry middle eastern regions like Egypt, Iraq, Pakistan and Jordan. When the rainy season is over, Rose of Jericho will normally dry up and drop its leaves. Before the rose dies, it will curl the branches and form a tight ball. It will resurrect itself by the time we get to the rainy season again. For the gift market, the most commonly sold species is variety is “selaginella lepidophylla” – mostly grown in South America, especially Mexiko – , as it is much easier to grow than the “true” Rose of Jericho (Anastatica hierochuntica). The Resurrection Flower is also known as the Rose of the Virgin, Mary’s Rose, Holy Night Rose or Rosa Mariae. Thanks to its unique life cycle and its capacity to symbolize resurrection, the Rose of Jericho is a great gift idea.